Trying to compete for top talent in a tough hiring market? Here’s another question: Do you know how to create a job description that can help you find the right candidates and set the stage for a new employee’s success? The job description is your hiring blueprint, and it needs to be thoroughly thought (or rethought) through. Do it well, and the rest of the hiring process — from evaluating resumes and job applications to candidate selection, interviews and salary negotiation — will flow much more easily. But writing it poorly risks a prolonged, expensive hiring process and increases the possibility of making a bad hire. As you gather details to update or write a job description, you may want to seek input, if appropriate, from key personnel who will work directly with the new hire. These individuals may be able to provide valuable insight, because they understand the day-to-day workings of the department and the company. 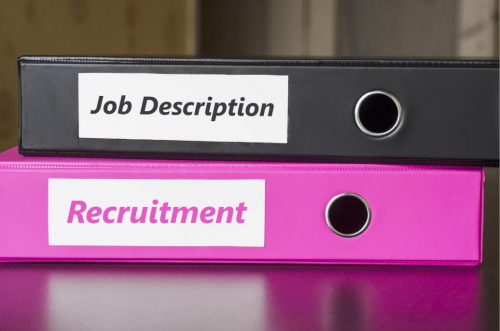 Knowing how to create a job description that’s tight and well-designed not only will help you find the right candidates during the search process but also set the stage for a new employee’s success. With that information in hand, a new team member will have a set of clear guidelines and an accurate picture of the manager’s performance expectations from Day One. Job title (and job code number, if applicable) — Be specific here. Creative titles like Jedi, wizardand rock star might sound creative and appealing to candidates, but they’re vague. You want to choose a title that job seekers are searching for and will understand. Titles should be short: Simply refer to a position as bookkeeper, even if the official internal title is Bookkeeper and Occasional Copier Technician/Intern Manager, Level 15. The opening hook — Writing a powerful opening connects with your audience and generates excitement about the position’s possibilities. A compelling introduction will also work to encourage potential candidates to read the rest of your job ad. Organization and culture — Tell job seekers about your company. To attract the best candidates, you’ll want to pique their interest in the organization, if not excite them over the prospect of working with you. Promote the company’s strengths, lay out its mission, and paint a picture of the corporate culture and what it’s truly like to work there. Department — Job seekers will want to know which department within the company is hiring — that’s one way they tailor their cover letter and resume, research the position and decide whether they’d be a good fit for the job. Don’t leave it to candidates to search for clues in your job description. Identifying the department will make both the application process and the vetting smoother.